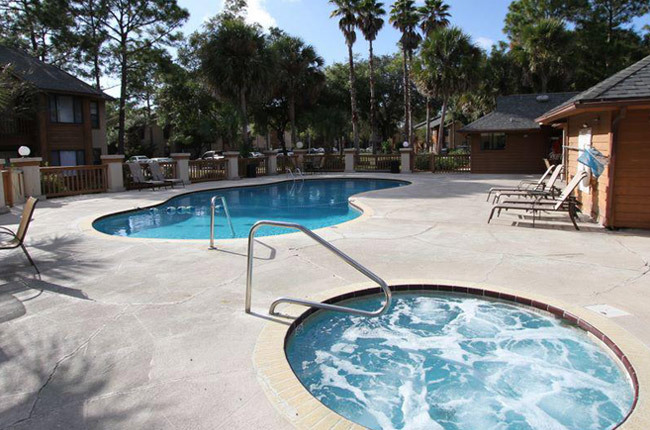 Settled among lush greenery, native flowers, and the palm trees natural to the Sunshine State, Cypress Trail Apartments in New Port Richey, Florida is the perfect place to settle down long term. Residents can choose from affordably-priced one and two-bedroom apartment homes. Our comfortable apartments provide a tranquil retreat from the outside world while our amenities ensure that you have the maintenance free living experience you deserve. We encourage residents to take advantage of our resident clubhouse, sparkling swimming pool, relaxing hot tub, and outdoor basketball courts. If this still isn’t enough to satisfy your every wish, consider our central location, which provides seamless access to Tampa, St. Petersburg, and the many breathtaking beaches of the Gulf. Start by taking a virtual tour of our floor plans and media gallery today! Located on Broadmoor Drive, Cypress Trail Apartments is in the heart of New Port Richey, Florida. New Port Richey may be a suburb of Tampa, but that doesn’t mean that there is a limited amount of entertainment. Treat yourself to breakfast at Toast, a simple lunch spot to the south of our community, curb your craving for barbecue at Pit Boss Bar-B-Q, or chow down on some authentic Mexican at Carmelita’s. Once you’re satisfied and ready to seize the day, take a ten-minute drive to one of the nearby beaches where you can enjoy days full of sand, waves, and sun. When reality sinks in, and you realize you still have many errands to accomplish, Mitchell Ranch Plaza offers a Target, Publix Super Market, Marshalls, and PetSmart, in addition to many dining options. At Cypress Trail Apartments, we strive to offer residents the best of the best, and our convenient location is no exception.